The leaked information, which was originally posted on Engadget, details that the Android-powered tablet may be available in a number of "premium finishes." 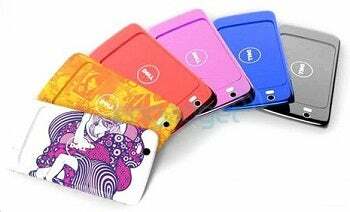 The document also mentions thatthe Mini 5 will be available in a range of colors and designs. Beyond the personalization options, the first leaked page sadly didn't offer any other new information about Dell's upcoming tablet , simply listing its features, such as the front-facing video camera, dock connector, and capacitive touch-screen. However, a second leaked page offers some more interesting tidbits that were previously unknown. Could this partnership with Amazon be seen as a move to compete with the upcoming iPad? Apple's tablet has the iTunes and iBooks Stores, so supporting Amazon's services could help Dell bring something similar to the table. For those eagle-eyed readers, you may have spotted that the leaked documentation refers to the Snapdragon-powered device as the 'Streak', a name that first surfaced late last year. As for whether this is just the internal codename for the upcoming product, or an official change away from the Mini 5 moniker is currently unknown. Dell have yet to confirm a solid release date or final price for the device.